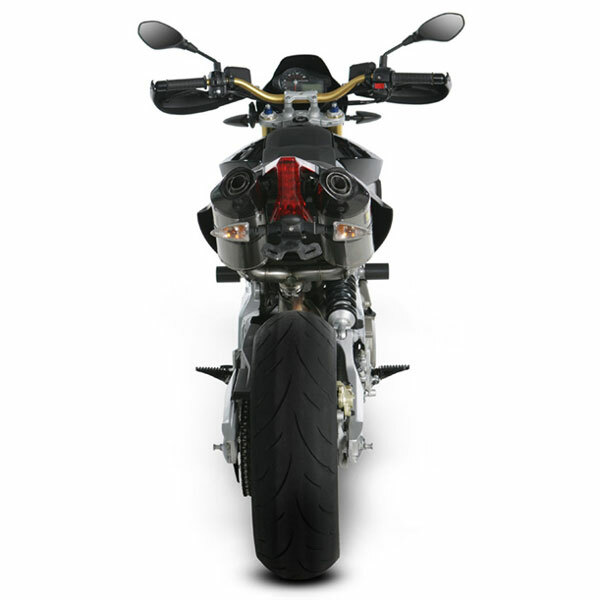 Our sporty and lightweight slip-on systems offer a great balance between price and performance and represent the first step in the exhaust system tuning process. 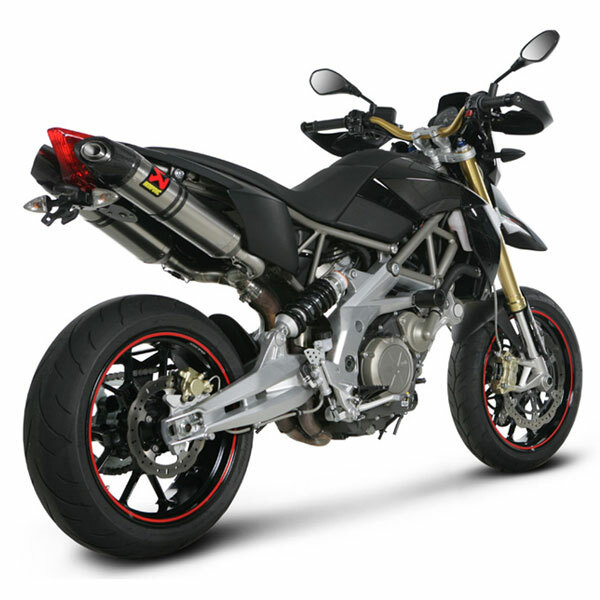 The change will be also visual as our hexagonal mufflers perfectly fit the exterior line of the sporty Dorsoduro and add a clean racing image.The muffler outer sleeve is made of titanium, which gives a special hi-tech touch to our slip-on system. 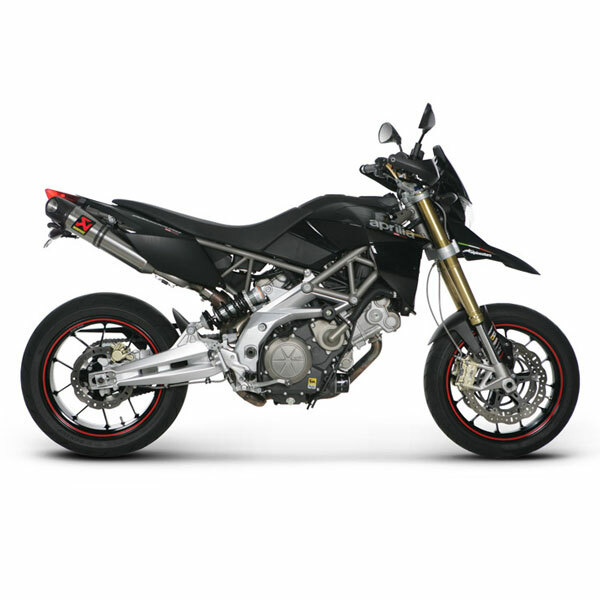 Power & Torque: the exhaust system modification results in a major boost in performance, delivering a solid 84.8 HP at 9540 rpm on back wheel. But the increased power isn't available just at the top of the range; the system shows its quality already from 3500 rpm up through entire rpm range. Max. 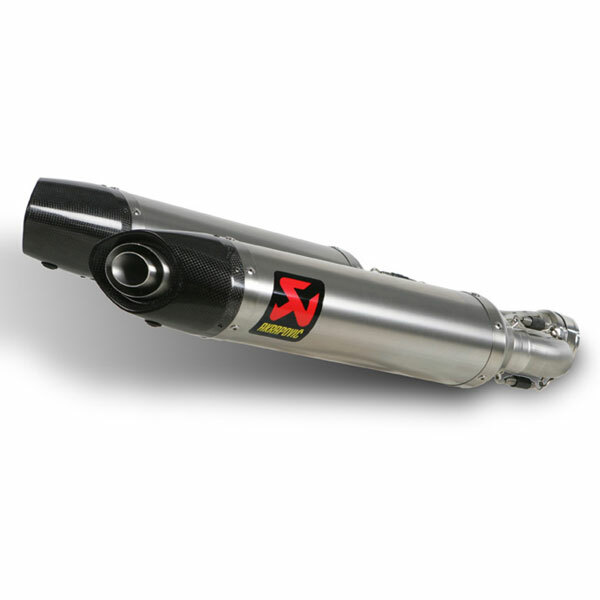 increased power between the Akrapovic and the stock system is 1.8 HP at 9300 rpm. Besides this, the torque is substantially higher in a lower rpm area from 2500 rpm to 6500, and also in middle and high rpm area.